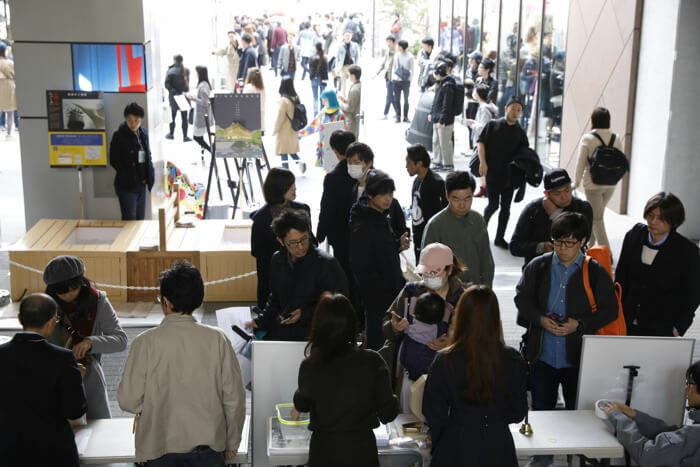 MOSHI MOSHI NIPPON FESTIVAL 2018 in SHIBUYA was held across the weekend of March 24 and 25 and promoted Japanese culture to the world from Shibuya. The event ended with huge success. 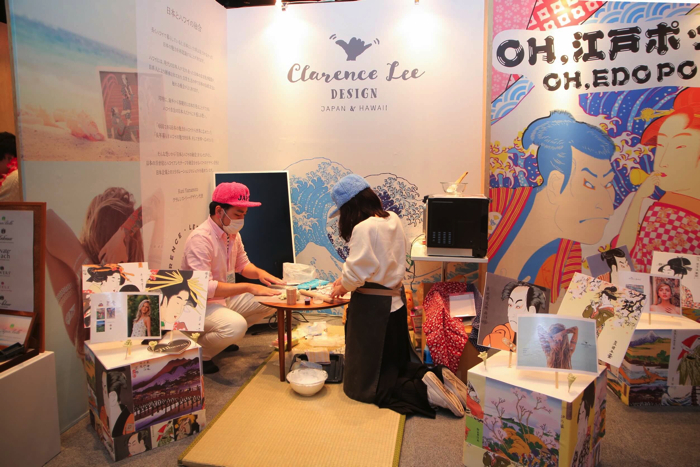 One of the many things attendees enjoyed were the ‘experienced-based booths.’ From traditional Japan to the country’s culture of kawaii, let’s take a look at the line-up of booths that were packed with Japanese charm. 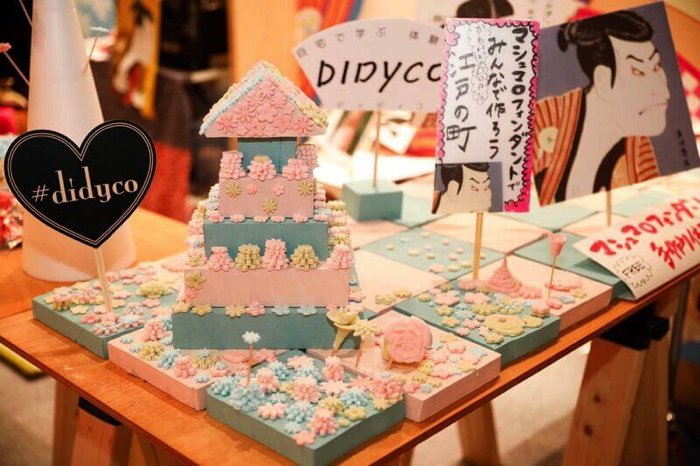 Japan’s culture of kawaii gathered together at Laforet Museum for MMN Festival 2018. Many of the booths were popular including the accessory booths, DIY booths, and photo spots where people could go for a simple image change by putting on a wig. Mynavi Baito held a questionnaire for attendees regarding part time jobs. They asked questions like “Do you think your part-time work outfit is cute?” and other kinds of questions you’d only hear at MMN Festival. Those who answered were gifted an original memo pad. 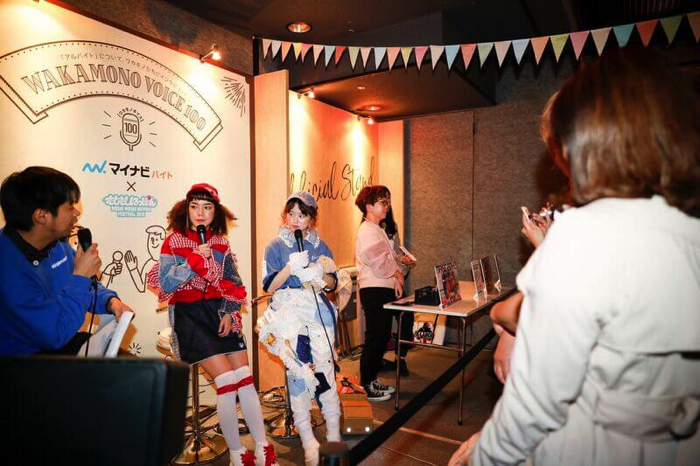 Mynavi also presented their Challenge Award onstage in relation to the questionnaire where fashion students were made to develop their own cute part-time work outfits. The students who made the outfits as well as the popular models put on an exciting performance. 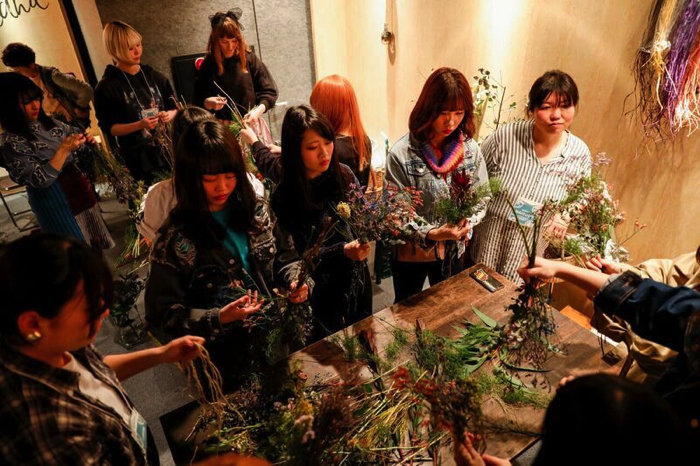 Asami “Char” Tnabe was invited to host a workshop on how to make “herbariums” with colourful dried flowers and a bottle, and “swags” which are wall decorations made from plants and flowers. It cost just ¥1,500. 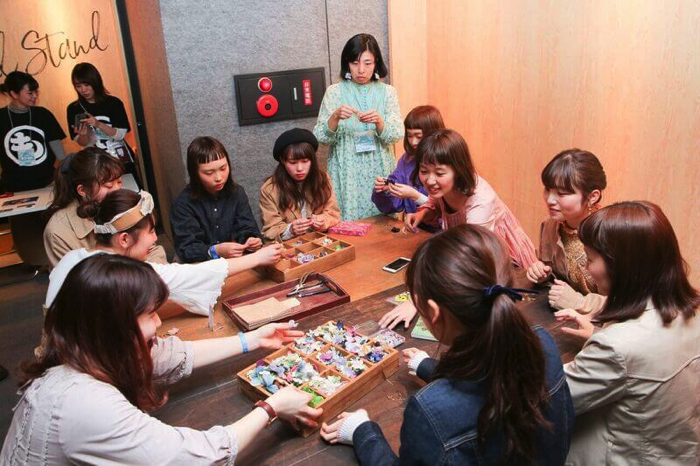 Popular flower accessory shop CHACO held their own workshop. 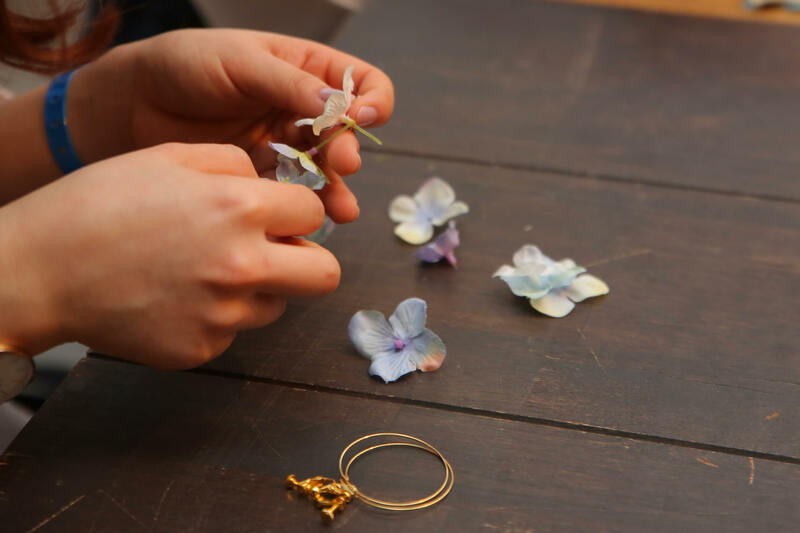 For ¥1,000 people made their own earrings and piercings from hydrangeas, perfect for spring and summer. 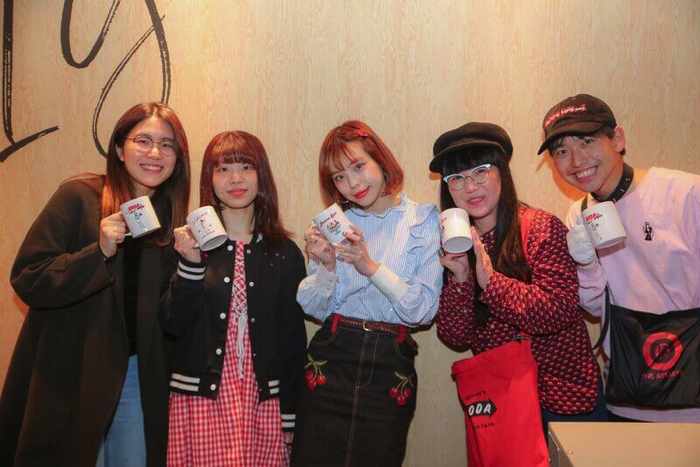 Apparel brand “Aymmy in the batty girls” led a ¥1,500 workshop where people got involved in making a kawaii mug with the brand logo and designs with spring and summer items. 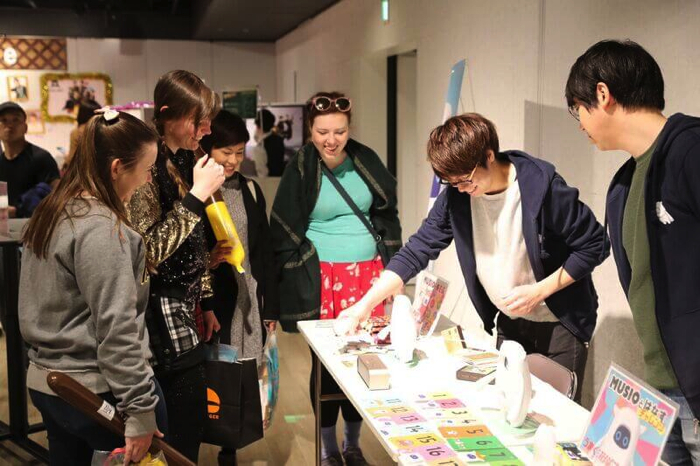 Aymmy designer Ayumi Seto also joined in the workshop where she showed how to make a cute mug while talking with fans. Six fortune-tellers active in the media took shifts in fours. Just ¥500 got people an expert 10-minute reading. Lots of people turned up to this booth. 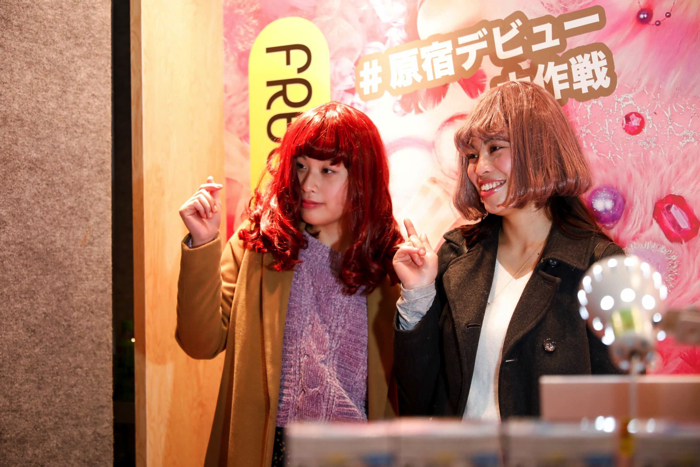 Popular hair dye brand FRESHLIGHT hosted their popular campaign for people to make their big Harajuku debut (#原宿デビュー大作戦). 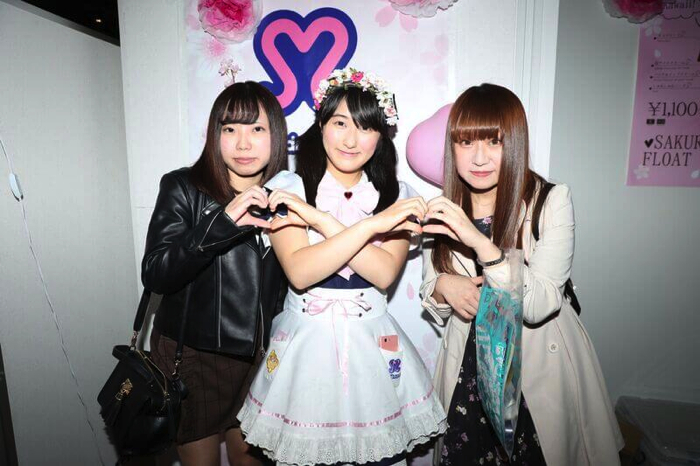 They changed up their image with colourful wigs and took photos in the kawaii pink photo booth. Prizes will be sent at a later date to those who joined in the hashtag campaign by posting on social media. 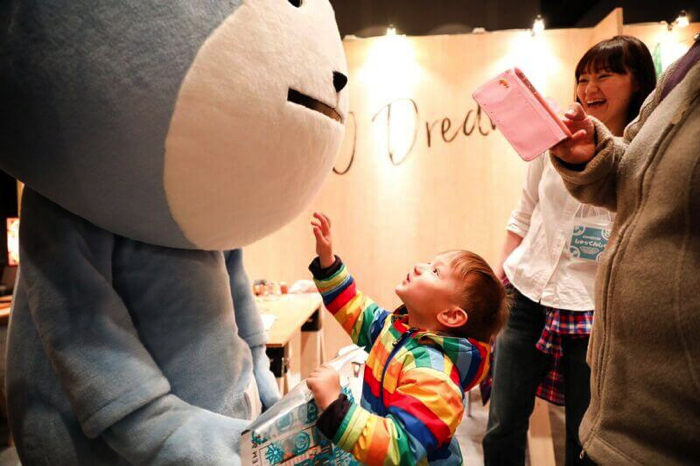 The models who performed on stage also stopped by this booth where they were posting plenty of ‘kawaii’ online. This game challenged people to throw darts onto a map of Japan. Local specialties unique to specific regions were given out depending on which parts of Japan were hit, such as kakeru miso from Nagano and cabbage cider from Gunma. To win, people had to shoot a ball into a kawaii goal that looked just like a floral headband. Kawaii products from around Japan like accessories and cosmetics were given out depending on how many goals were scored. People handmade marshmallow fondants, a photogenic dessert that originates from the US. They decorated it with flowers they cut themselves and other bits and bobs to make a castle and street, giving the Edo Period a taste of contemporary Harajuku. 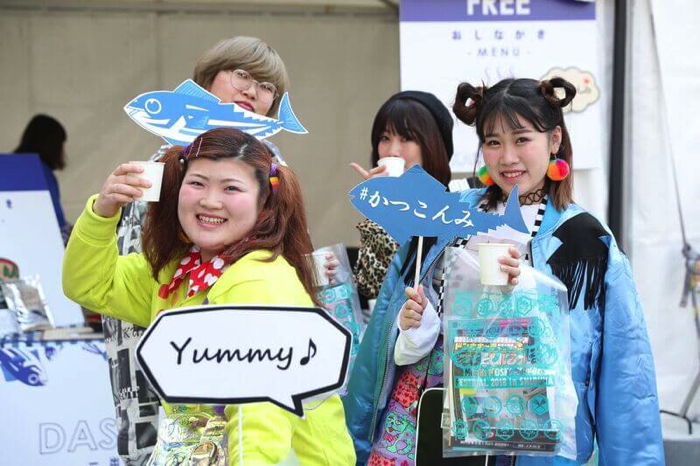 Timeless pop Edo desserts were brought to life at the festival. Japan’s first collaborative project between a Hawaiian design company that combines Japanese ukiyo-e with Hawaiian motifs and a Japanese enterprise. Thanks to the success of crowdfunding, this project will bring about an array of apparel items fusing Japan and Hawaii, such as aloha shirts with traditional ukiyo-e prints. 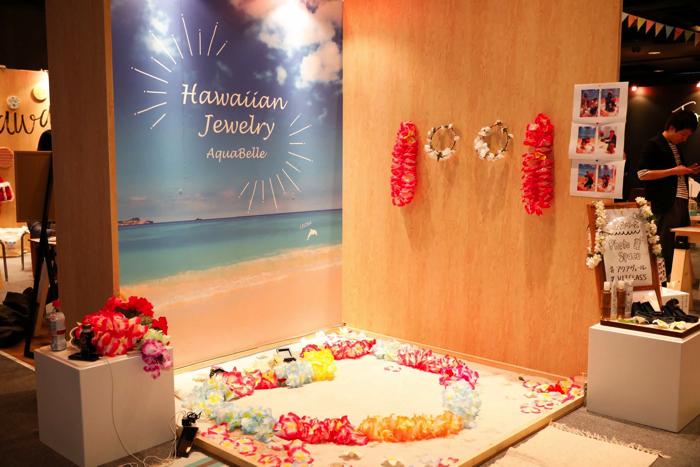 Hawaiian jewellery brand Aquabelle prepared a photobooth inspired by Hawaii’s sandy beaches where people could feel like they were in Hawaii from Harajuku, with white sand and hibiscus in the frame! 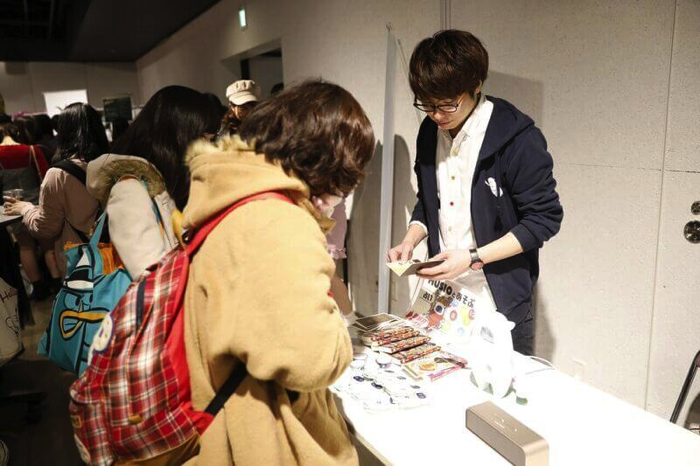 At the promotional booth for crowdfunding service Hikari TV Dream, people enjoyed making their own wooden keyholder with the same wood used in the creation of Okawa Kumiko, a brand of furniture from Okawa in Fukuoka that has been designated as ‘an art form to leave behind for the future.’ Hikari TV’s main character Hikari Kaesaru also made an appearance to excite everyone. 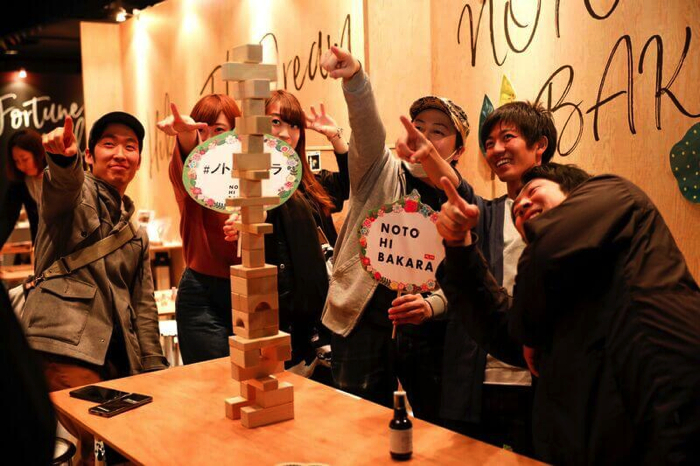 Those who rolled up to this booth enjoyed a game of jenga made up of hinoki building blocks. Hinoki building blocks don’t generate bacteria even if a child licks them. The wood acts as an antibacterial and pesticide. The prize included NOTO HI BAKARA ‘essential water’ made with hinoki extract. Ponkichi is the tanuki who came down from the mountain and just wants to kill, kill, kill humans from the manga series Kawaii Tanuki mo Raku Janai (Hakusensha). The popular foul-mouthed tanuki had his own photo spots where people took photos while hearing abuse from Ponkichi. They also made their own bad-mouth pin badges for free from 12 varieties. 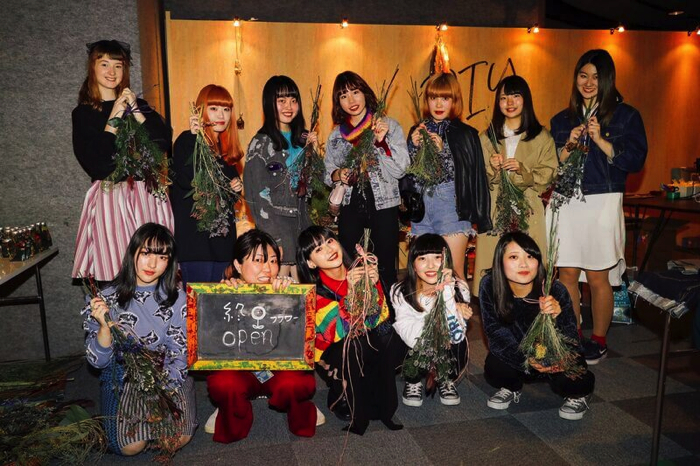 Yuzawaya held a workshop to make popular herbarium piercings as well as resin piercings and earrings. The herbariums combined flowers and oil. Each class lasted 30 minutes and was a hit with people every time. Many people enjoyed making this original accessory. 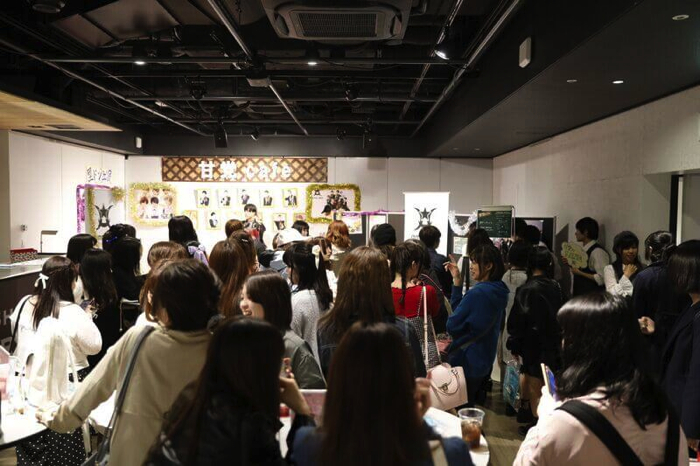 A flea market was held which sold personal items of the stage performers including Natsume Mito, Ayumi Seto, Rinko Murata, Yuru Suganuma, and more. The line-up included items the performers had worn in magazines and on their social media. 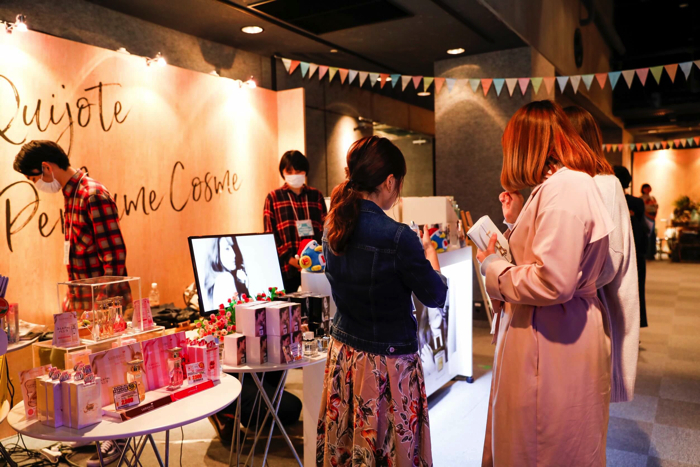 The Don Quijote booth sold around 30 different brands of perfume. The staff working there were scent experts and offered advice on recommended perfumes like it was a perfume bar. Normally when you buy their perfume you have to pay a fee to get your name inscribed on the bottle, but they offered the service for free at the festival. 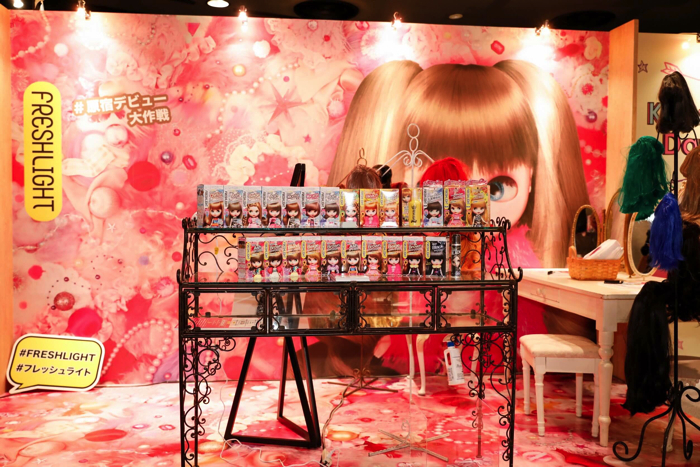 “D Ting Eau de Toilette” by Akemi Darenogare also made its first Japan appearance. Various aspects of Japanese culture were presented at SHIBUYA CAST. 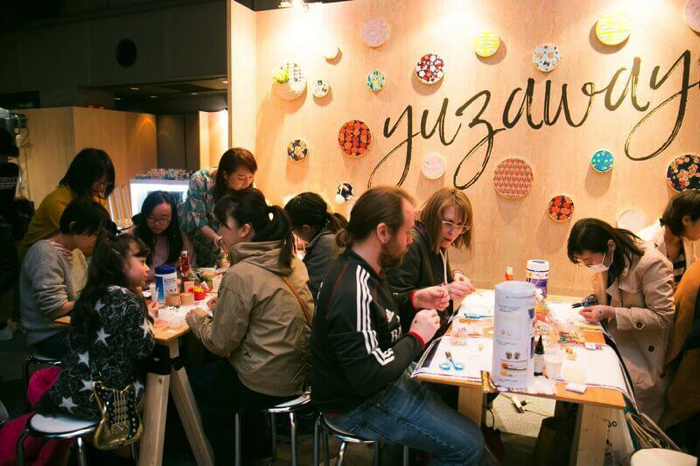 From food to art, sightseeing and moe, everything was enjoyed by Japanese people and foreigners alike. A promoter of local specialities from and sightseeing in Tamura in Fukushima Prefecture. They sell Youchuu Gumi, (¥400) or larva gummies, named after the popular sightseeing spot Kabutomushi Shizen Kansatsu-en. They are shaped like the real thing – the body is Calpis flavoured while the centre is filled with purple blueberry sauce, creating a strange taste. They also sold strawberries, a noted product from Tamura. Don Quijote is a super souvenir shop, and at the festival they stocked lots and lots of confections that screamed ‘Tokyo,’ including some of the most popular snacks and common snacks, chocolates, as well as the Tokyo strawberry chocolate daifuku, a defining souvenir of the city. This booth managed by Keihan Sangyo handled Katsukonmi, a flavourful powdered dashi made bountifully with carefully selected ingredients such as katsuo tuna, mackerel and konbu. 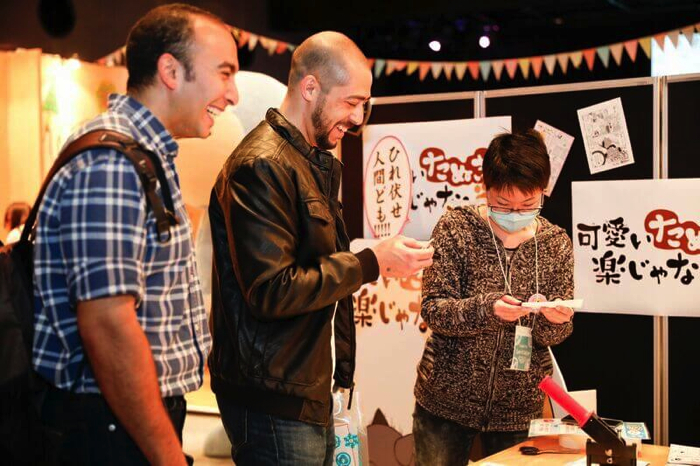 People were able to taste test dash stocks that used Katsukonmi. They also have a future line-up planned of new products with plenty of dietary fibres perfect for dieting. Kyo Baum has stores in Gion, Shimizu and elsewhere and specialises in Uji matcha and soy milk flavoured Baumkuchen. 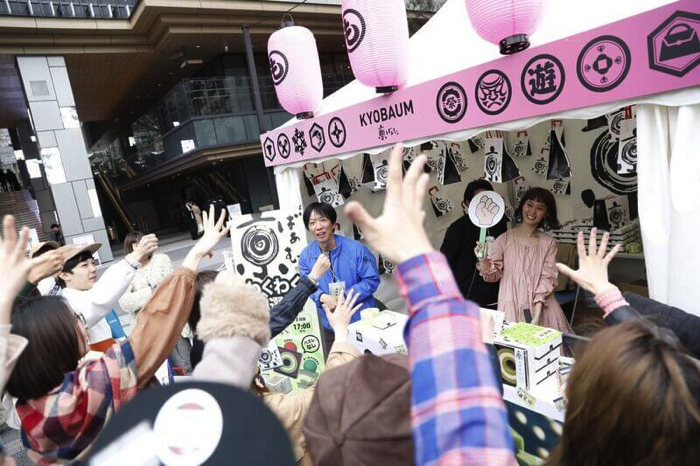 Lotteries were held 3 times each day to win tickets for Kyo Baum, which are the perfect eating-and-walking snack, original masu boxes, and more. There was a huge line for the lottery before it began. The matcha and sugar fondant offers a crunchy texture at room temperature, and a completely different delicious experience when melted. 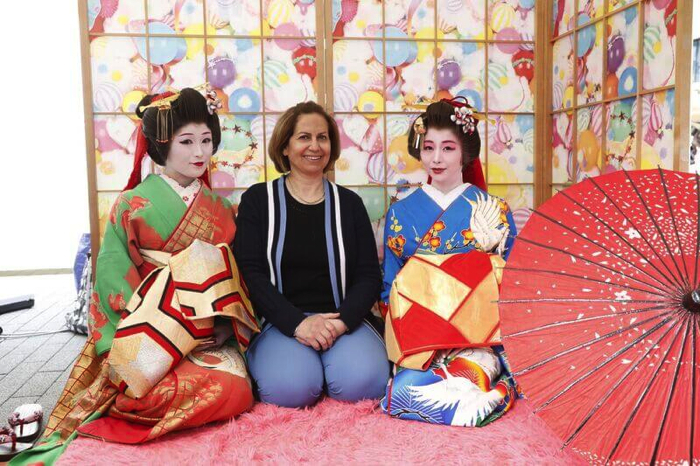 People had the opportunity to try on kimono with a Harajuku-style spin – lots of colours, eye-catching designs, studs and more. 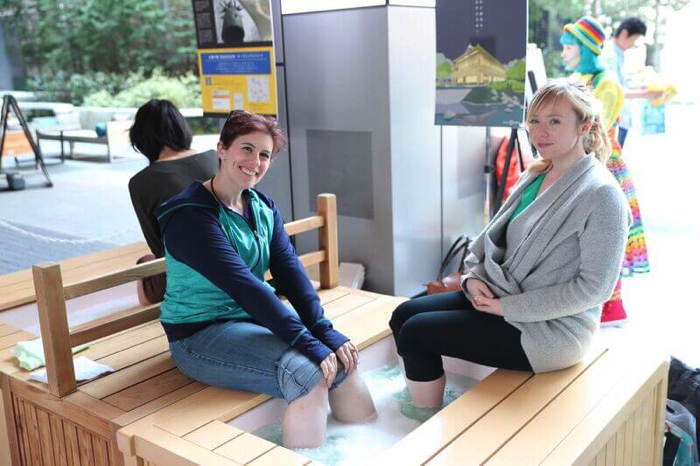 It was free to put on yourself and take a selfie, or ¥1,000 for the staff to help you put it on and take a picture. It cost ¥4,000 to rent the kimono for as long as the booth was open. 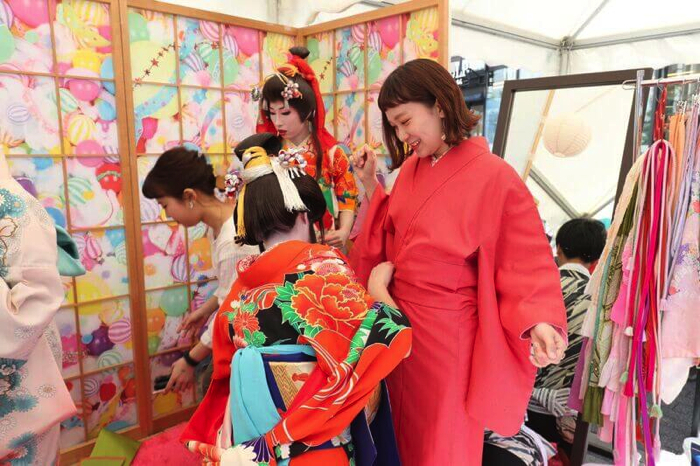 There were lots of girls enjoying the MMN Festival experience by strolling around Onden Shrine dressed in kimono! 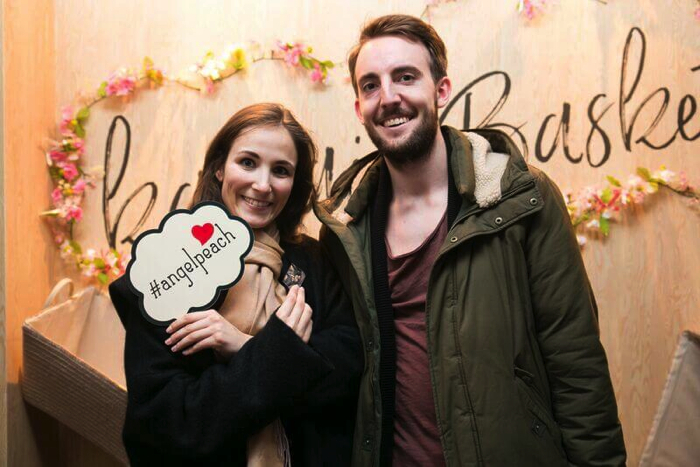 Official Harajuku sightseeing tours were held for foreign travellers by Airbnb. 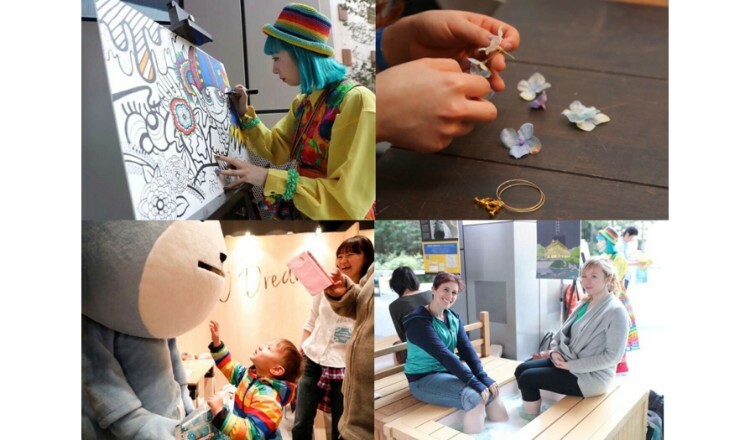 “Hidden Fashion Street Tour” enabled people to enjoy Harajuku fashion, “History Tour” detailed the history of Harajuku, “KAWAII×Food Tour” combined kawaii culture with cuisine, and the “Official Tour” took people around the various MMN Festival areas. 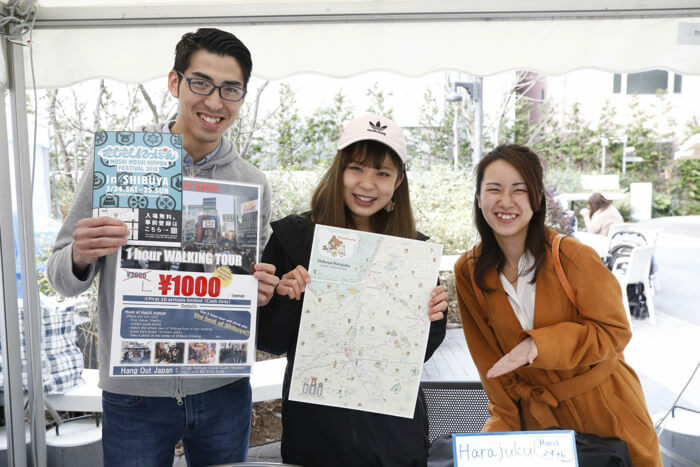 The tours were mostly aimed at foreign travellers, but lots of fans turned up at the same time as the tours to see Saki Shibata and the other models working as tour guides. 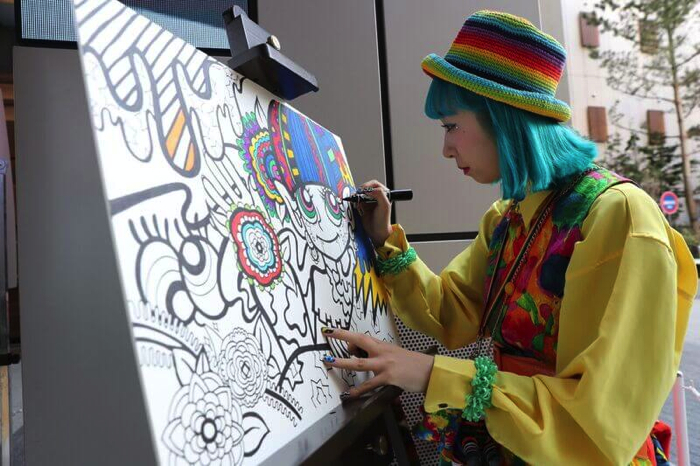 Creator MIOCHIN held a live painting session called Mio’s World where she illustrated from her colourful pop perspective. This was her first ever live painting. She completed the piece across two days using permanent markers and POSCA markers while interacting with fans. 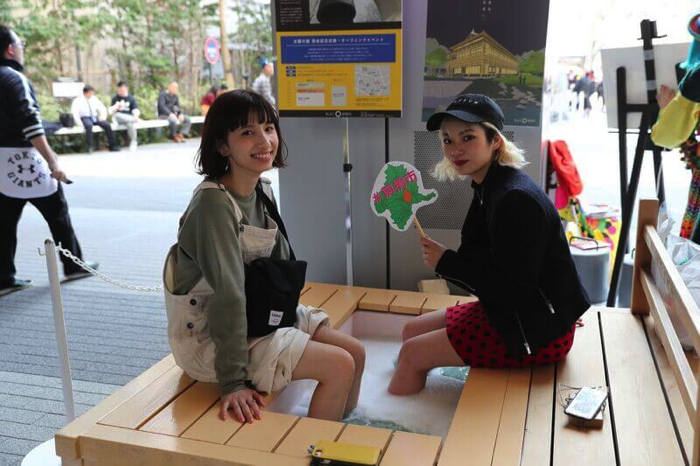 A booth promoting the city of Maebashi in Gunma Prefecture, people had the opportunity to enjoy a footbath experience in the image of Kusatsu Onsen – a famous Japanese hot spring resort in Kusatsu – right in the middle of Shibuya. People lined up one by one to rest their tired feet. 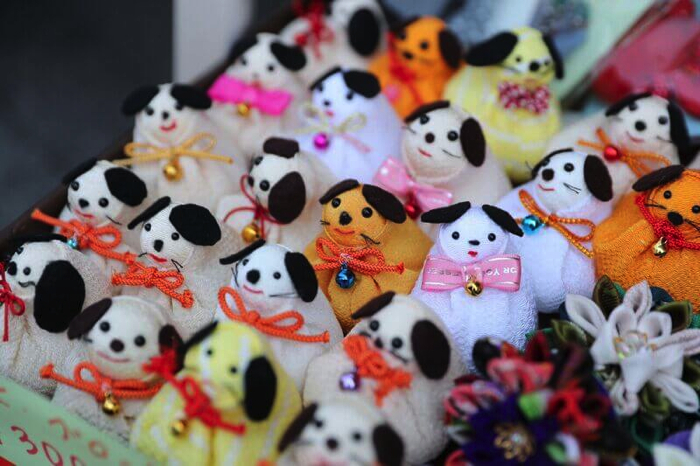 It became the resting place of the festival. There was also an introduction to professional football club Thespakusatsu Gunma supported by Maebashi city, as well as fliers handed out for Susono. 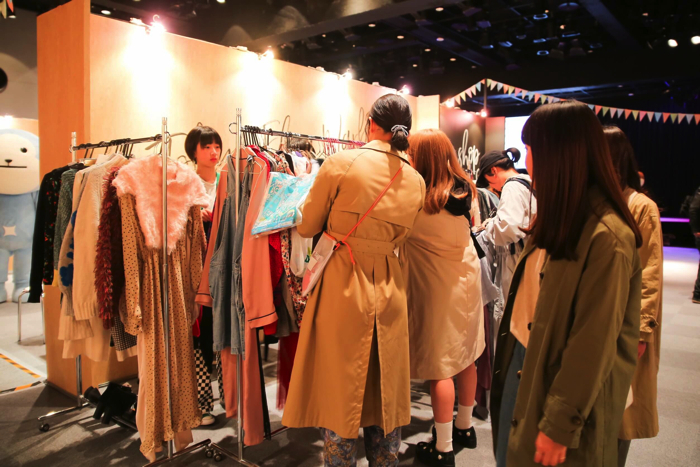 SHIBUYA FASHION FESTIVAL.13 was held on March 24th. 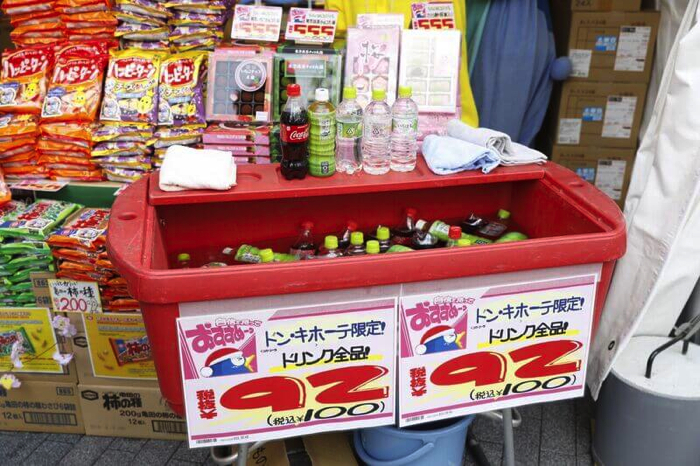 A lottery was held to win special benefits that could be used at participating stores. Amato Danshi, the six-member idol unit centred around sweets, worked at their very own café. One of their recommended chocolates was the DEL’IMMO Bon Bons which came with a kabedon (¥1,800). The kabedon is a popular way of expressing love in Japanese media, such as anime, where one person hits (don) the wall (kabe) with one hand and pins someone against it. 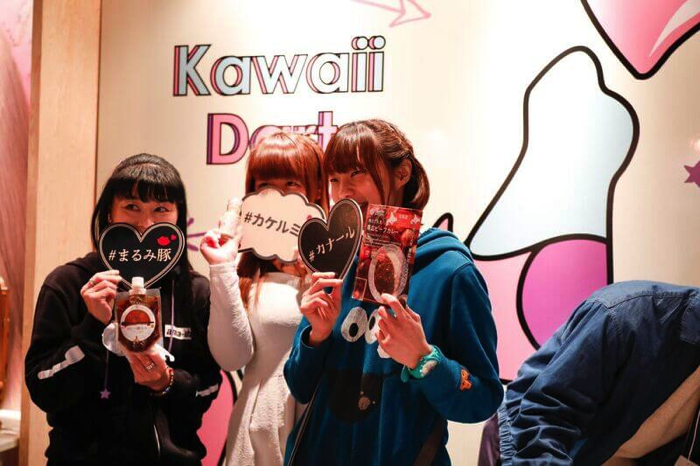 After receiving a kabedon from the group’s members, customers were fed chocolate. What a heart-throbbing menu! The number one maid café group Maidreamin set up shop at the festival. For the special “SAKURA Float” (¥1,100 w/ omajinai), the main maids gave cute instructions to power up the item. It was quintessentially ‘moe’ and ‘kawaii’ made with cherry blossom syrup and cherry blossom ice cream. Customers also dressed up in maid outfits and original merchandise was sold. It was a sight to behold seeing customers experiencing maid culture for the first time and really getting into the fun of it, from girls to entire families. Musio is your robot friend who came from the future. Equipped with state-of-the-art AI, Musio is able to do things like have natural conversations and express emotions. Everyone chatted with him and had their fortunes told. The festival took place in 5 areas, and because there was plenty to be enjoyed for free, we saw many people having fun stopping by each location throughout the day. 5 areas, 5 themes. That was MOSHI MOSHI NIPPON FESTIVAL 2018 in SHIBUYA. This year was a huge change from last year. How did you find it? Did you have fun? MOSHI MOSHI NIPPON will continue to promote Japan’s multilayered culture to the world through our website, at events and elsewhere. We post the latest information about events on our website, so don’t forget to stay up to date!